The Mindful Drinking Festival: What's that all about, then? The Mindful Drinking Festival: What’s that all about, then? On August 13th, we’ll be pitching up at the Mindful Drinking Festival in Bermondsey Square. The first event of its kind, this will be a celebration of #DryNotDull drinking (click the hashtag for more details) – a chance to try out some of the best non-alcoholic beers, cocktails and sophisticated soft drinks on the market today. As brewers of an adult-oriented, non-alcoholic drink, we’re quite excited. We’ll be lining up a series of tasting tables and offering around our wares. It’s going to be a grand old day out. To find out more about the Mindful Drinking Festival we jumped on a Skype call with Laura Willoughby (MBE), the founder of parent company, Club Soda. Here a few things you ought to know about mindful drinking and the event in Bermondsey Square. Head to the Mindful Drinking Festival website for more information, or just come along at midday on August 13th. 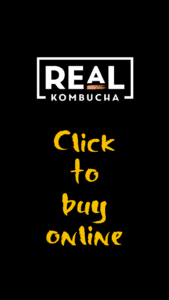 If you’d like to book a place at one of Real Kombucha’s tasting tables, drop us a line.